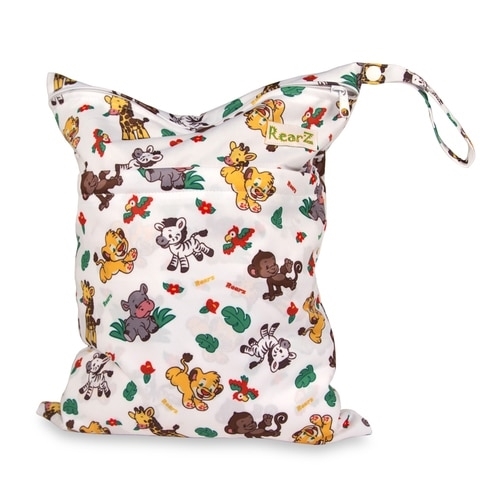 Wet/Dry Diaper Bags are practical accessories for any diaper stash. Handy and convenient for all kinds of occasions! 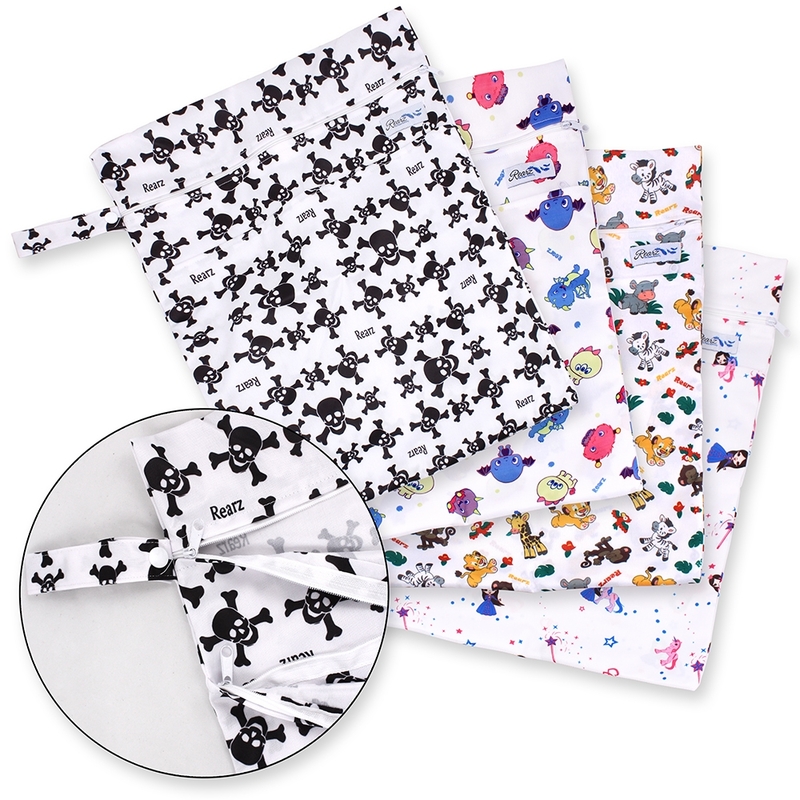 Water resistant fabric will keep in moisture and help contain odors. Convenient snap handle allows you to attach it to strollers, handles, doors, towel bars and more. 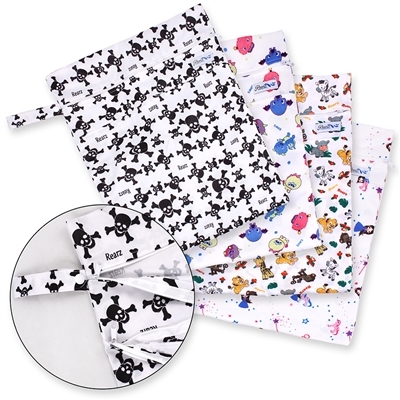 Holds 1-2 adult diapers or 5-7 baby diapers, also great for powder, wipes, creams and more! This works great and I love that it has two separate pockets. So if you have an accident and leak , which does happen, you have a place to keep them without getting your other clothes wet. Completely masks the smell of a wet diaper-for several days if needed.